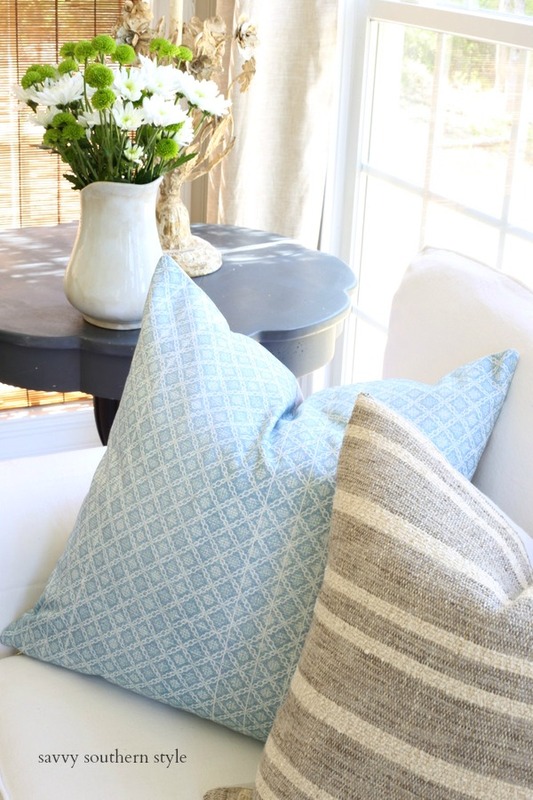 I love these pale blue pillows with a sweet design mixed with the rich texture of the neutral colored pillows. I picked up this plant at Lowes a few weeks ago and I set it on a candle holder turned upside down. I have had this holder for years. Big candle holders like this make good pedestals for other things. 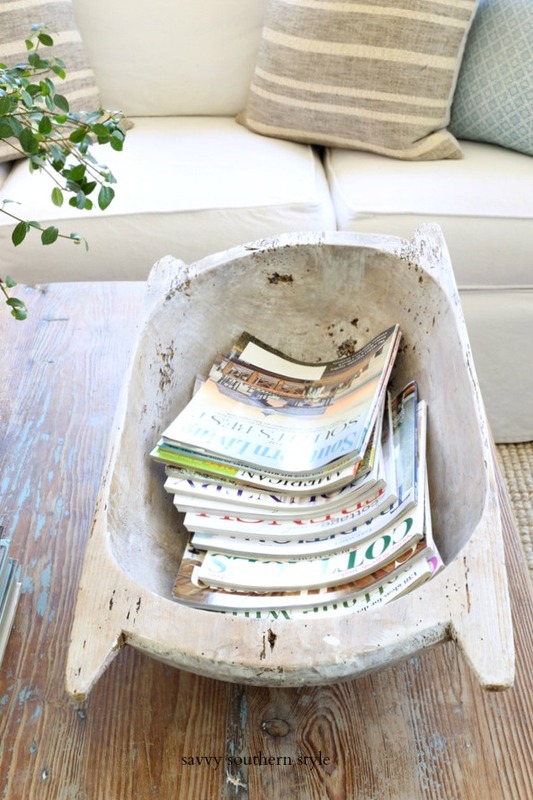 My vintage doughbowl is being used as my magazine holder. 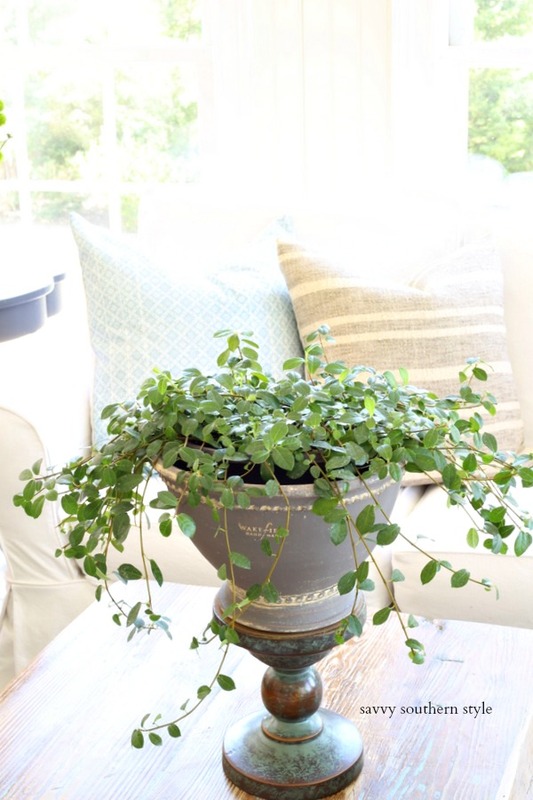 The plant's whispy growth is allowed to drape freely up on the candle holder. 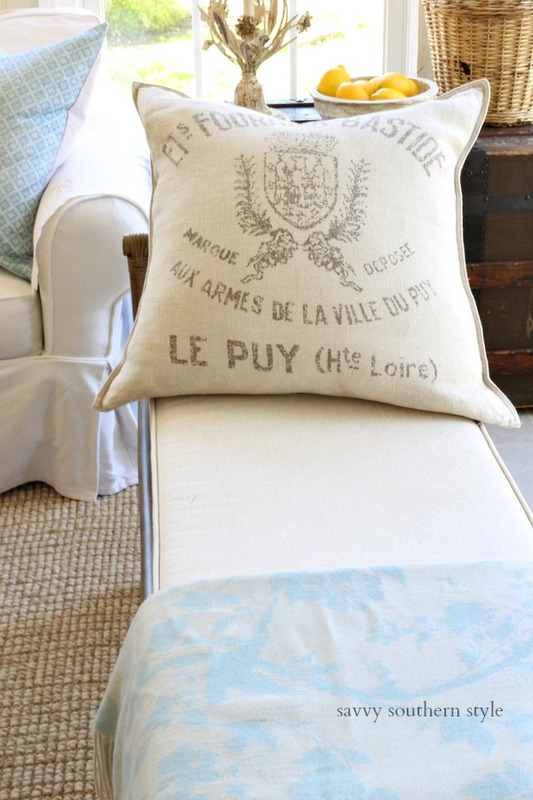 I used these blue and green pillows last summer in the great room. 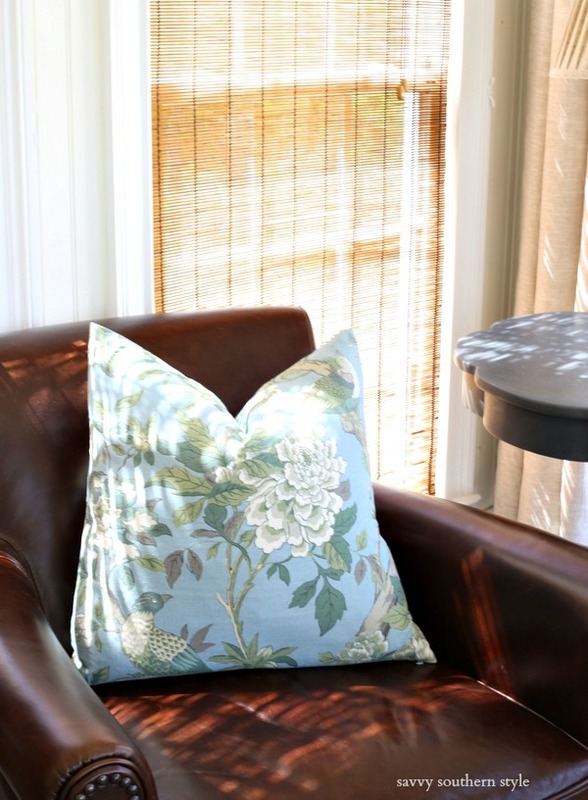 The leather chair on your right is where I sit to blog from and watch television. 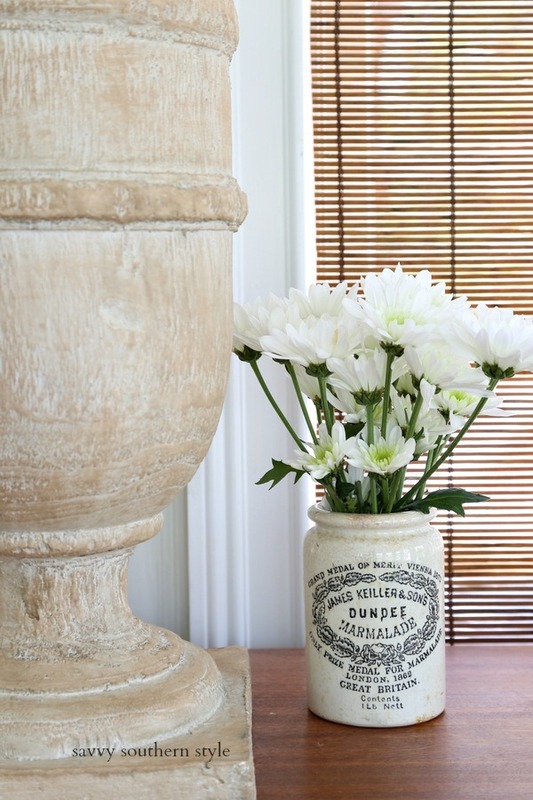 Since guests were arriving last week I bought some flowers which made severl little arrangements around the house. 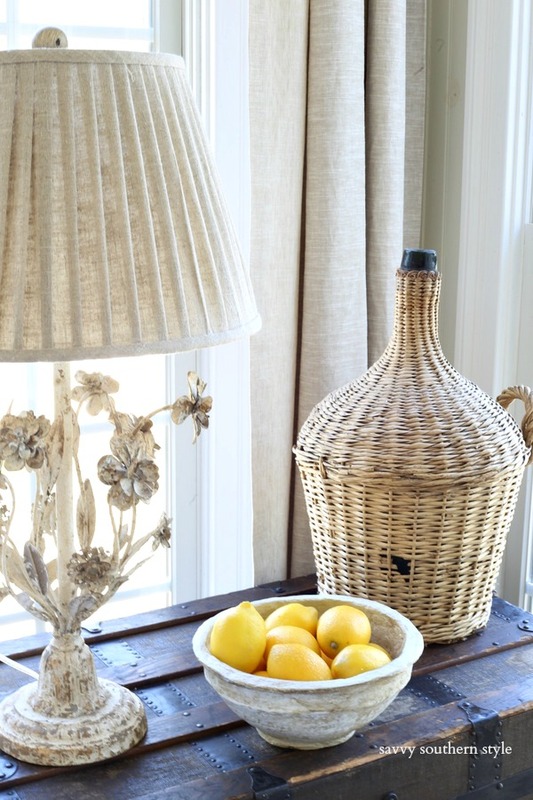 A pop of yellow on this side of the room just by simply adding a bowl of lemons. 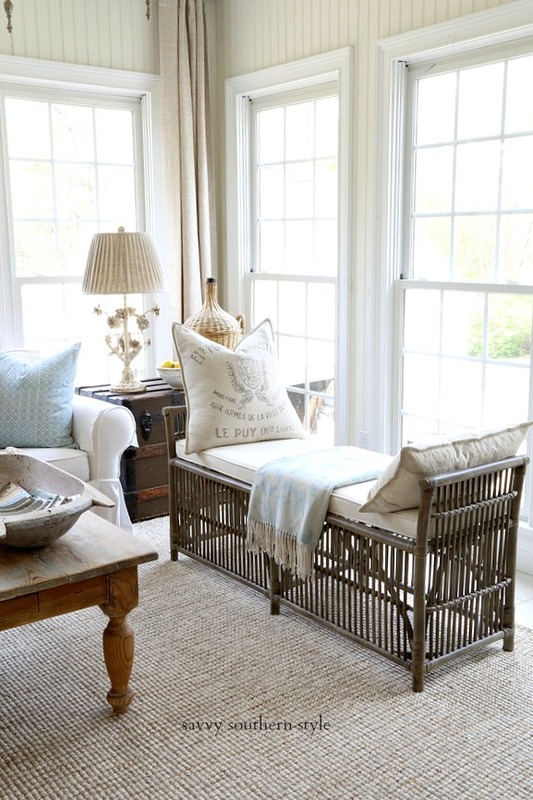 Another pillow from my stash in neutrals was added to the rattan bench. So with just a few additions the sun room is spring ready. Now, I just need a new air conditioning unit for this room as it is really warming up around here. I always love seeing what you do in the sun room. I think it is my favorite room in your house. 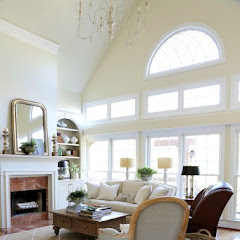 Always nice to start out the week with a tour of your sunroom! Gorgeous as always with the soft colors. Love the wispy plant! - I think your plant will do well! We have several in our sunroom and none of them are new plants. They love the light!! - What's up with your AC? - I never noticed you have your windows dressed (or undressed LOL) in 3 different ways. - Pretty spring colors! It's so gorgeous here! I love spring!! My favorite season. 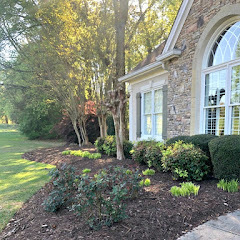 Our dogswoods are just now blooming and are beautiful - especially with the redbuds mixed in. My azaleas have started too. Everything is so fresh and green. Our AC for the house works fine. The sun room was an addition and it has to have a portable unit. I want a ductless one that goes up on the wall so we will be checking into that. Redbuds are almost over here and dogwoods have been in full bloom for over a week. Yep, you're further south than us. We even have a big dogwood festival and dogwood trails! We will be visiting the dogwood trails Friday. 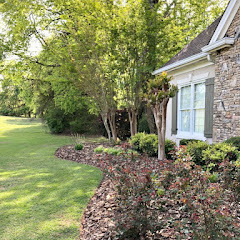 I love looking at all the beautiful yards and getting ideas. We have lots of dogwoods but had to cut two recently (wild) so will be adding two more pinks (we have mostly white). The redbuds have been especially pretty this year. I knew you meant your sunroom AC but wasn't sure what you have. We have a ductless unit in our sunroom. A system for the house and then a separate system for the large garage/workshop from which my husband now works. I bet we hadn't lived there 6 months when we realized the mistake we made in not heating/cooling the garage. 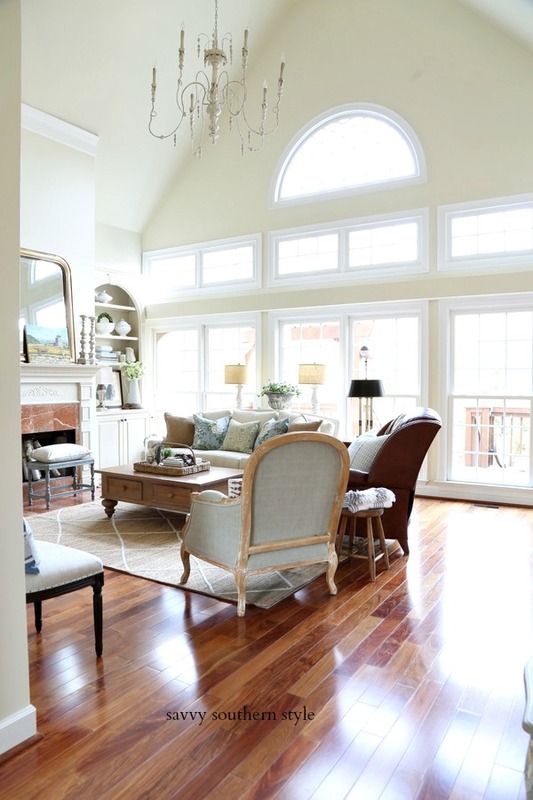 I love your sunroom, but than I love every room in your house. 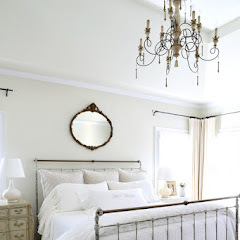 I would live in this room, so welcoming. 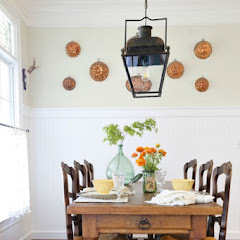 Now I need to go searching for chunky candle holders, such a great idea! You are the master of pillow perfection! 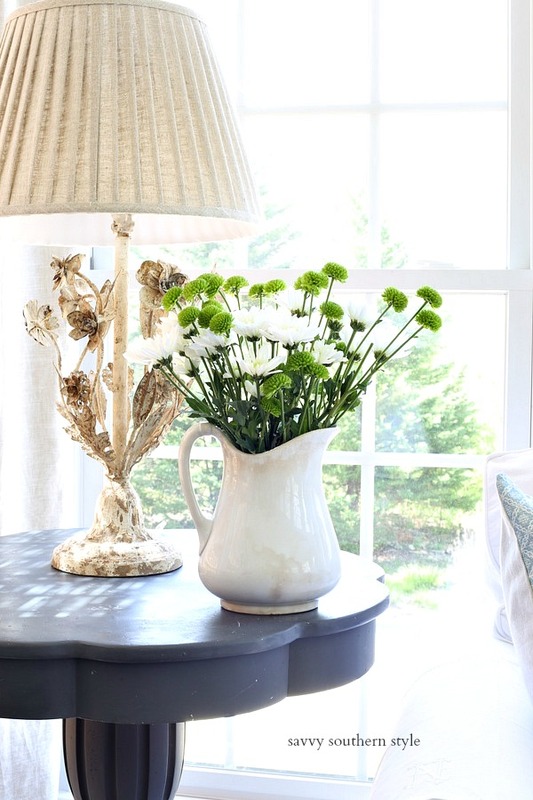 You can totally change the feel of a room by using the right pillows to get the look you are going for. 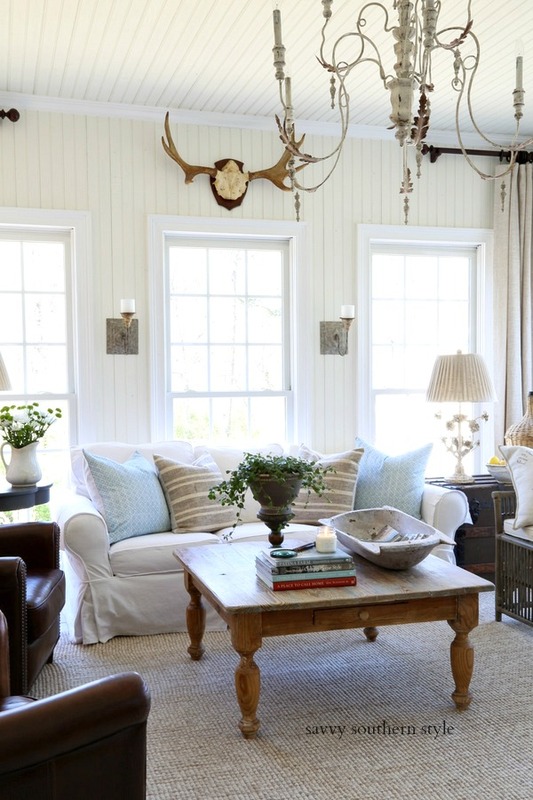 Love all of the pretty details of the sunroom. Love using “chunky candle holders ” for that elevated look. Your candle holder is perfect for your plant/flower pot! Glad you had a nice visit with the family even though they were short visits. 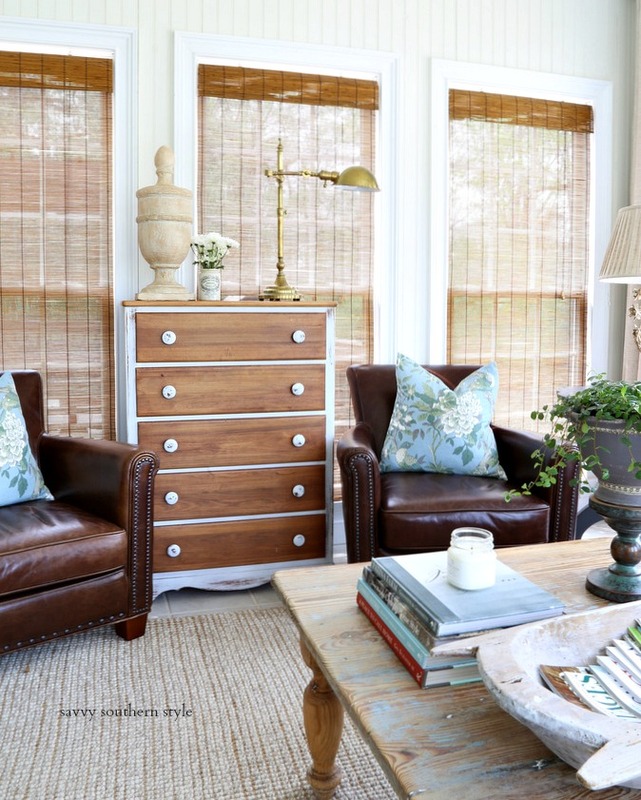 Love seeing all the transformations of the sunroom! Happy Monday! 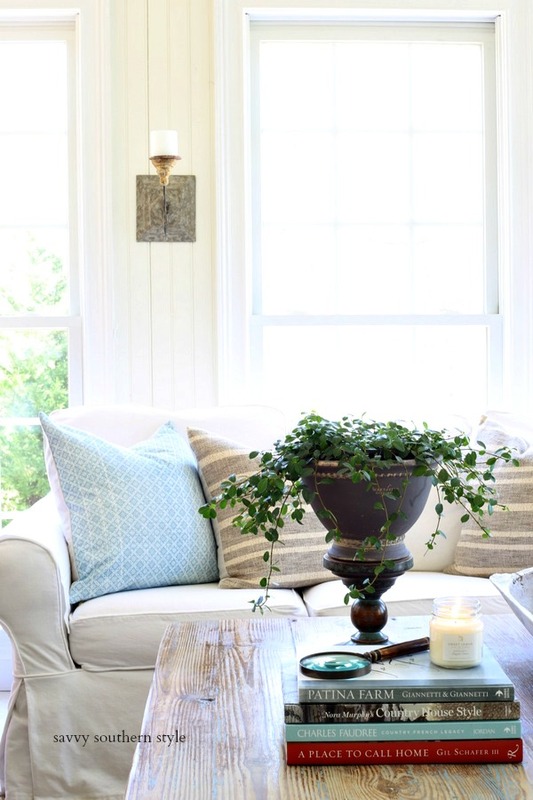 Kim, a beautiful refresh with pillows and plants! Have a wonderful week! Marjorie, I have had that bowl a good while and don't remember where I bought it. I love Aubergine and R.F. antiques. They are both owned by the same owner and Crown and Colony Antiques, too. Thank you! 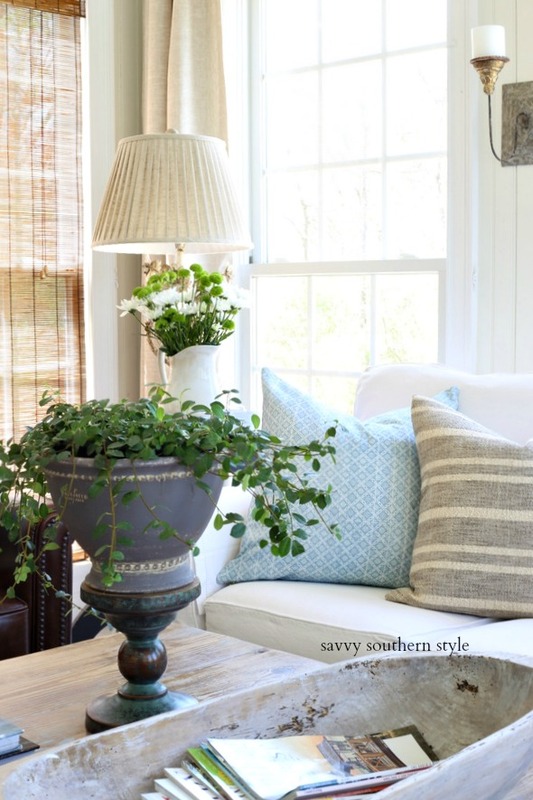 Always love your sweet sunroom. Happy New Week. Beautiful, as always, Kim! 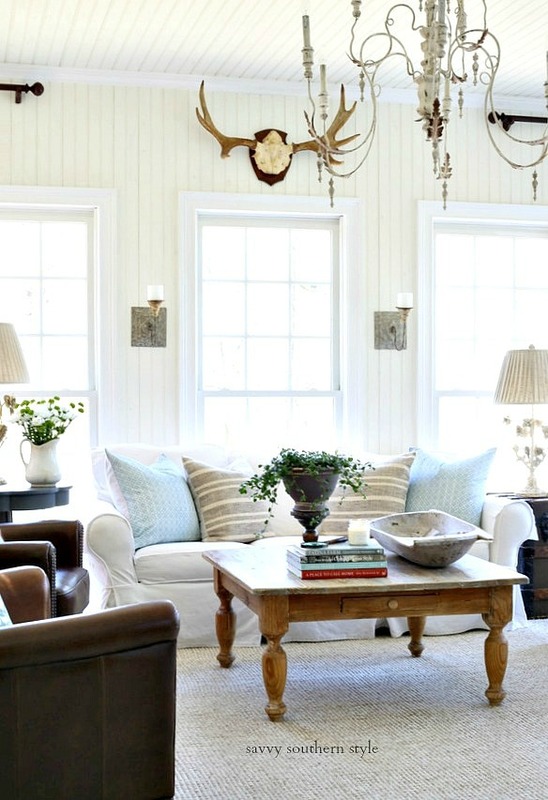 Love your sunroom decorated in any season. Happy Spring! 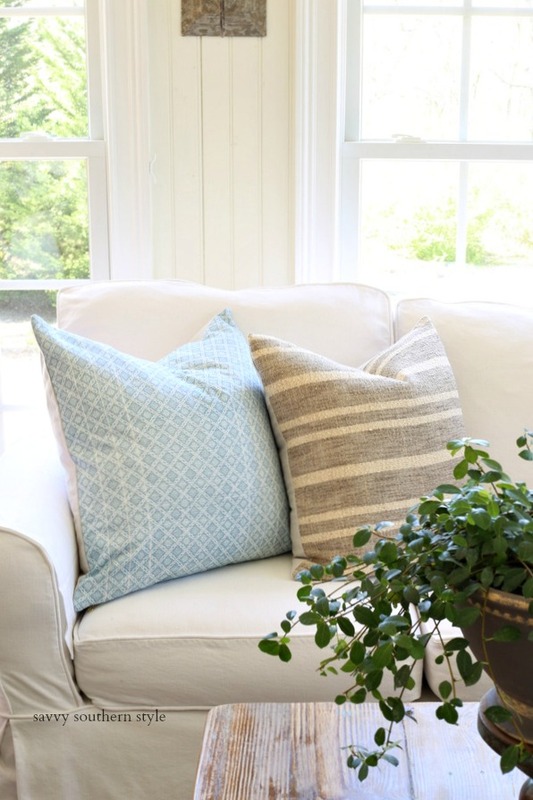 I just found pale blue pillows at Kohl's for half price this spring & have changed pillows on couch so am happy at the moment anyway!! 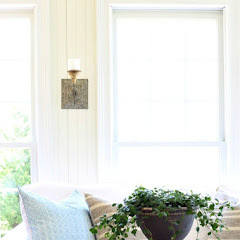 Love your sunroom! Happy Spring! !